I’m going to end up this week-long series on “Why our water distillers ROCK!” with the most important point of all; purity! 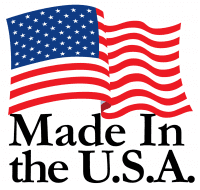 It’s a simple fact; premium water distillers produce the purest water of any single water treatment method. Our competitors know this too, that’s why they try to compete by saying that they purify the water, but not too much. They say they leave the good stuff in and take the bad stuff out; which is of course impossible and if they had any shame they’d be embarrassed to make such a ridiculous statement. The ultimate goal, of course, is to consume water that is free from toxins. There is no treatment method that can 100% guarantee pure water, simply because there is no such thing as 100% pure water. There are fundamental differences in the core technologies however. The most popular treatment method is filtration, which includes reverse osmosis. The problems with this technology are obvious, a) filters only remove contaminants that are larger than the pore size on the filter, b) filters deteriorate and their effectiveness decreases over time, c) filters do nothing to kill biological contaminants, and d) if there is any failure of the filter there is direct contamination of the “purified” water. Now understand that these are not minor weaknesses that companies can overcome over time by investing more money into R&D, but rather these are fundamental problems that are inherent in the technology! 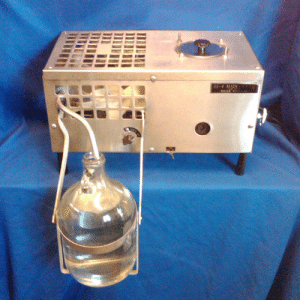 Distillation is not perfect either, but it’s the absolute best water purification system on the market today. Here’s why; a) distillation boils the water which is an extremely effective method for killing biological contaminants, b) distillation collects only the pure water vapor and cools it down into pure distilled water in a separate container. This is important for two reasons; first, there is an air gap between the incoming water and the purified water which is an added layer of protection. Second, this process doesn’t rely upon a filter but rather a physical law of nature, meaning that the process of evaporating water is a process that has stayed the same since the beginning of time. As a result, c) distillation produces high purity water on a consistent basis for as long as the water distiller operates. So, back to this 40 year old water distiller that has produced over 43,800 gallons of distilled water. This 40 year old distiller today is producing the same high-purity water as it did 40 years ago! It will continue to do so because this is the nature of distillation. This is why our water distillers ROCK! I would appreciate you providing me with 10(ten) reasons, based on science why Distilled Water made in my Pure Water Distiller is not perfect. Thanks for the reply Art. First of all, this is the second comment that I received on this article about how I could have worded things better (I received a message on Facebook). Instead of saying “it’s a heck of a lot better”, I should have clearly stated that “it’s the absolute best water purification system on the market”, because this is an accurate statement. Thanks for pointing this out and i have made the change in the article. The second point, when I said that distillation is not perfect, is an accurate statement. There is no such thing as a perfect machine, just as there is no such thing as 100% pure water. A Rolls Royce car is not a perfect machine, nor is a Lamborgini – simply because “perfect” is impossible. The purpose of this blog is to educate. We try to be as precise in our wording as possible. To answer this point further I will make a blog post about this point soon. This whole series on why our distillers ROCK has been well-thought-out because there is just too much science to teach in one lesson. A distinction needs to be made between the product and the process. The hydrologic cycle is a perfect process and always has been. Evaporation is removing the water from the contamination, but when we try to replicate this original design inside a manufactured box, we introduce some variables, not unlike the re-contamination possibilities that occur in condensation, precipitation, and distribution in nature. But of course, we continue to learn how to enhance protection from new environmental toxins with post-distillation science. Thanks for the comment Kevin. In fact, the hydrologic cycle in a well-designed distiller could now be better than nature’s hydrologic cycle, simply because we have a controlled environment. Nature’s hydrologic cycle is under assault from all sides. Rain water for example is still pure water, but it picks up air pollution on the way down. This unit has to be 35-40 years old and still like new…….a fellow Chiropractor from Mt. Vernon Washington shared the benefits some after graduation from Palmer College in Davenport Iowa and “sponsored” me to share this valuable appliance—-and we did !! We appreciate your comment Dale. We hear so many of these stories when someone is calling in to buy a part or two but it’s really nice that you shared your story with the rest of the world. We are so proud of the quality that we put into our distillers so hearing the feedback reaffirms that taking extra care throughout the entire production process is worth it. We wish you MANY more years with your Pure Water Distiller! I have looked through your website trying to find information on the construction of your machines but couldn’t find what I was looking for. So perhaps you could direct me to where I need to go or just give me some answers. I needed to know about the counter-top Mini classic: What is the condensation tubing made of? And is there an escape port to let out the volatile gases? Also, I was told that you need 6″ of dead air space above the water level to allow room so that contaminants don’t get into the vaporized water molecules. What is your take on this? Thank you for getting back with me. I really appreciate it!!! Fantastic questions Laura. All of our cooling coils are made of 304 grade stainless steel and every machine has patented dual vents on the cooling coil for the removal of VOC gas. We have found we can get slightly better removal with the second vent slot. It is true, you want an air gap between the boiling water and where the steam is collected. That is why again, all of our distillers have this gap so no matter how violent the boiling is, it cannot contaminate your steam. Based on your previous statement of the outlet of VOC gasses… Is this exhaust that lets out into the air? I would be concerned that this would not be suitable to have in a kitchen… I apologize if I’m ignorant of this type of purification process. On another note though, everything I’ve read is beyond impressive. It certainly sounds like you’ve put a lot of heart into these machines!!!! I didn’t think that even existed anymore! Thank you for taking the time to write us. You raise a good question about VOC’s being vented off, so let’s explore this a bit further. The distiller is removing what is in your tap water, so when it’s heated, the VOCs rise, and are vented off. This is the same thing that happens anywhere in your house when you use hot water, whether it’s in a shower, running the dishwasher or doing a warm/hot load of laundry. It’s a good idea in general to have good air flow in your bathrooms, kitchen and laundry room for these reasons. If you’re still concerned about breathing VOCs, we would recommend a whole house carbon filter that would remove them from your household water, then for the water your family consumes, purify the water even further by distilling it. I hope this addresses your concerns and thank you for the rest of your comment. Yes, we are passionate about what we do! Feel free to call in anytime, 402-467-9300 x3. I would like to know how long it takes to filter the water and the amount it filters in that time. I would also like to know how the filter is cleaned each time after use. Remember that a distiller is not a filter. Each distillation cycle will vary depending on the size of the distiller. Larger units will distill faster than smaller counter top units. How often you clean the boiling tank will vary depending on how often you are using the distiller and how hard your water is. We recommend cleaning them every month.